We are a leading supplier of hydro pneumatic press used for the jewelry coining applications and for other applications related to the jewelry. We are a leading manufacturer and exporter of chain hammering press which is used for chain hammering application and other applications related to this field. 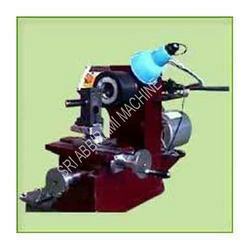 These machines can be availed at industry leading prices. Our inner cutting machine which is used for bangles grooving is a table top unique design, which works on the principle of lathe having two axis viz. X & Y. all types of inner, outer, side, concave and convex turning chamfering and polishing with mirror finish on work piece is achieved with simple diamond tool has negligible wastage. 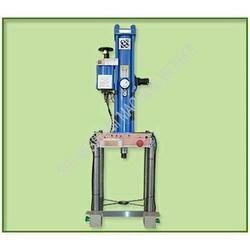 We bring forth an exclusive range of hydraulic press samples that are widely used for various industrial applications. 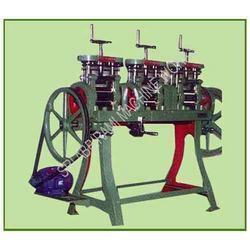 Equipped with compatible features and superb quality, our flawless range of machines are designed as per quality standards to satisfy valued clients. 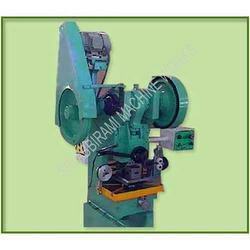 Used for making various tools and equipments, these machines are highly demanded. Moreover, our engineers also update themselves with the ongoing market trends to deliver more quality machines to clients. 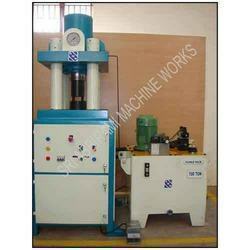 We present Hydraulic Press -100 Ton (Four Pillar Type) for coins, waqia & sizing. 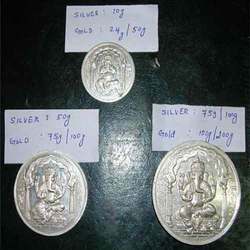 These machines provide a precision finish with the desired design, shape and size. Made from quality steel, our range of Hydraulic Press are highly durable and requires minimum maintenance. Product range available from 60-150 tonnes as per customer requirements. The Design can be changed at any time without notice. Looking for Jewelry Machines ?